Exponents are derived from relatively simple rules, using radial expectation values from accurate atomic calculations as generator quantities. The SARC basis sets are more flexible than non-relativistic basis sets in the core region and hence better adapted to relativistic Hamiltonians. Polarization function sets are available for DFT and (for some elements) also for correlated wave function methods. 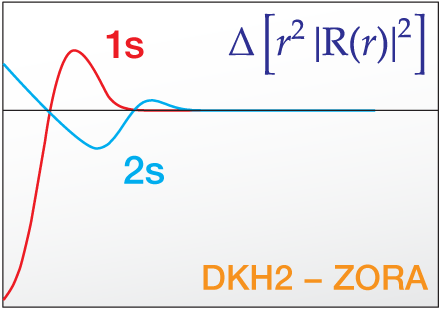 Contraction coefficients are optimized separately for the DKH2 and ZORA Hamiltonians. This is necessary because the two Hamiltonians behave differently close to the nucleus, e.g. the ZORA potential is more attractive, producing tighter core orbitals. 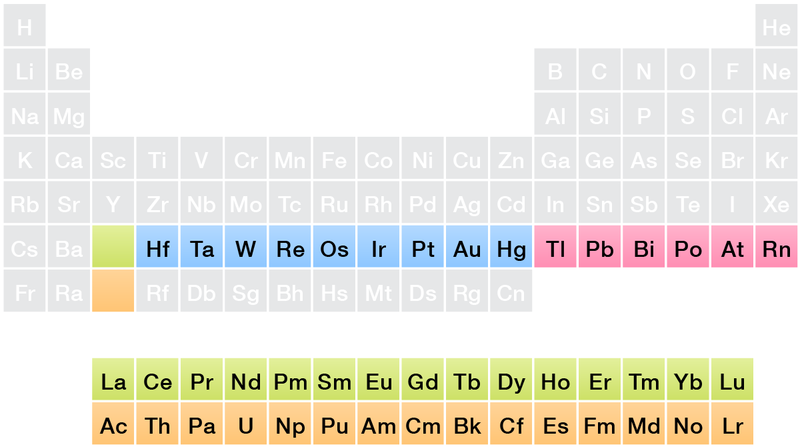 A useful overview of basis sets for heavy elements can be found here. Topological analysis of electron densities with AIM and ELF (note that ECPs produce artifacts even in bonding regions). Magnetic interactions in molecules containing lanthanide centers, e.g. in 3d-4f single-molecule magnets. Currently the SARC basis sets cover the third-row transition metals (5d series, Hf–Hg, JCTC, 2008, 4, 908 and JCTC, 2008, 4, 1449), the lanthanides (4f series, La–Lu, JCTC, 2009, 5, 2229), the actinides (5f series, Ac–Lr, JCTC, 2011, 7, 677), and the 6p elements (Tl–Rn, TCA, 2012, 131, 1292). Further development focuses on extensions to 4d and 5p elements, as well as on adaptation of the core region for finite-nucleus calculations and optimizations for prediction of core properties. Select the desired Hamiltonian and click on an element to obtain the corresponding basis set (in ORCA input format). All-electron basis sets for DFT calculations of heavy elements with the DKH2 or ZORA Hamiltonians pose increased demands on numerical accuracy during evaluation of two-electron integrals. The integration accuracy is governed by the choice of angular grid (radial shells per atom) and radial grid (integration points per shell). The default grids in most quantum chemistry programs are usually insufficient for all-electron calculations of heavy elements, and can lead to errors and artifacts in energies and gradients. Since the optimal choice of grid depends on many factors, it should always be confirmed through test calculations on a per-case basis that the grid is sufficiently large to eliminate such numerical problems. Density-fitting auxiliary basis sets to be used with the RI and RIJCOSX approximations are available for all SARC basis sets in the ORCA program package, which also contains scalar relativistic recontractions of the Karlsruhe basis sets up to Xe.